Today, there are many remotely operated submarines that handle important tasks, such as checking underwater pipelines, mapping underwater minefields, searching for locations to place communication cables, and searching for sunken vessels. These marine vessels, however, are limited by effective communication cables and require frequent human-operator contact. 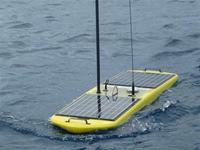 Ben-Gurion University of the Negev is developing a more accurate and effective autonomous, independently thinking underwater vessel that would revolutionize these and other tasks. The BGU entry in the RoboSub Competition is called Hydro Camel. In a race against one another and the clock, robotic boats are battling it out at the 6th International RoboBoat Competition, which began 8 July and ends 14 July. The Office of Naval Research (ONR)-co-sponsored competition takes place on a pond at the Founder’s Inn and Spa in Virginia Beach, Virginia. The event features fifteen student teams racing their custom-designed and built boats. On Monday, 8 July 2013, the seven teams which progressed from DARPA’s Virtual Robotics Challenge (VRC) arrived at the headquarters of Boston Dynamics in Waltham, Massachusetts to meet and learn about their new teammate, the ATLAS robot. ATLAS is one of the most advanced humanoid robots ever built, but is essentially a physical shell for the software brains and nerves that the teams will continue to develop and refine. The robot will have to perform a series of tasks similar to what might be required in a disaster response scenario. Computer vision algorithms that enable Samsung’s latest humanoid robot, Roboray, to build real-time 3D visual maps to move around more efficiently have been developed by researchers from the University of Bristol. By using cameras, the robot builds a map reference relative to its surroundings and is able to “remember” where it has been before. The goal of DARPA Robotics Challenge (DRC) is spur development of advanced robots that can assist humans in mitigating and recovering from future natural and man-made disasters. 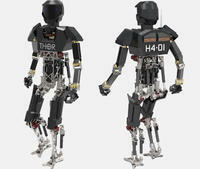 Seven teams will receive DARPA support to compete with an ATLAS Robot in 2013. Sandia National Laboratories is hosting the seventh annual Western National Robot Rodeo and Capability Exercise, a lively and challenging five-day event that draws civilian and military bomb squad teams from across the country to see who can most effectively defuse dangerous situations with the help of robots. Mechanical engineers invented a robot designed to scoot along utility lines, searching for damage and other problems that require repairs. Made of off-the-shelf electronics and plastic parts printed on an inexpensive 3D printer, the SkySweeper prototype could be scaled up for less than $1,000, making it significantly more economical than the two models of robots currently used to inspect power lines. More than 70 percent of Earth’s land surface is not navigable by wheeled or tracked vehicles, so legged robots could potentially bridge the gap for ground-based operations like search and rescue and defense. New insights on how cockroaches stabilize could help engineers design steadier robots for operating on difficult terrain. These soft robots can already stand, walk, wriggle under obstacles, and change colors. Now researchers are adding a new skill to the soft robot tool kit: jumping. 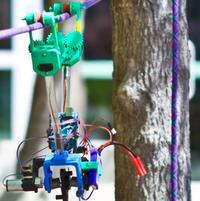 Researchers make the robots jump by using combustible gases. This ability to jump could one day prove critical in allowing the robots to avoid obstacles during search and rescue operations. After decades of designing and operating robots full of scientific gear to study other worlds, NASA is working on a prototype that leaves the delicate instruments at home in exchange for a sturdy pair of diggers and the reliability and strength to work all day, every day for years.